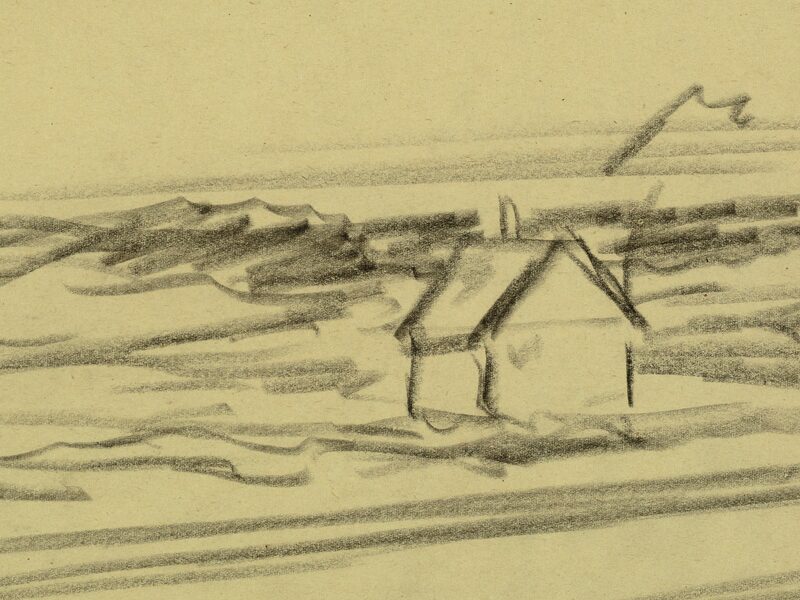 We are thrilled to announce our recent acquisition of 96 drawings by Edward Hopper, 69 drawings and watercolors by his wife, Josephine Hopper, and 22 diaries dating between from 1933-1956 chronicling the Hoppers’ lives on Cape Cod and beyond. This unprecedented donation was made through the generosity of Laurence C. and J. Anton Schiffenhaus in honor of their mother Mary Schiffenhaus (a close and personal friend of Josephine and Edward Hopper), and two anonymous donors. Up until 2013, PAAM had only one Hopper in its permanent collection – a beautiful landscape painting by Josephine Hopper. In honor of the Museum’s Centennial in 2014, two exquisite drawings by Edward Hopper were gifted to the collection by the Herman Maril Foundation and Robert C. Duffy, respectively. Hopper’s landscapes are synonymous with Cape Cod. Arriving with Josephine in 1930, they spent almost forty years in their classic Cape house with a large window overlooking Fisher Beach. Right up until his death in 1967, the Cape is where he would go to paint what became some of his most famous works, including Cape Cod Sunset, Corn Hill, Seven A.M., and Gas. In total, he painted more than one hundred oils and watercolors depicting Cape Cod. With this acquisition, PAAM now has the unique opportunity to expand its scholarship and research offerings through his sketches, drawings, and the writings of Mrs. Hopper, which span over three decades. Gifts of this magnitude speak volumes – the donors believe that PAAM is the proper repository and will uphold the highest level of care, scholarship and visibility. As an accredited museum, PAAM operates at best practice as set forth by the guidelines issued by the American Alliance of Museums. PAAM’s permanent collection has tripled in the past decade, representing and preserving the legacy of the oldest continuous art colony in America. At PAAM, the holdings of local and regional art are extensive and dynamic, comprising over 3,500 works by over 800 twentieth century and contemporary artists who have worked in Provincetown and on Cape Cod. Join art historian and Hopper expert Gail Levin for a lecture on this famous artist couple.